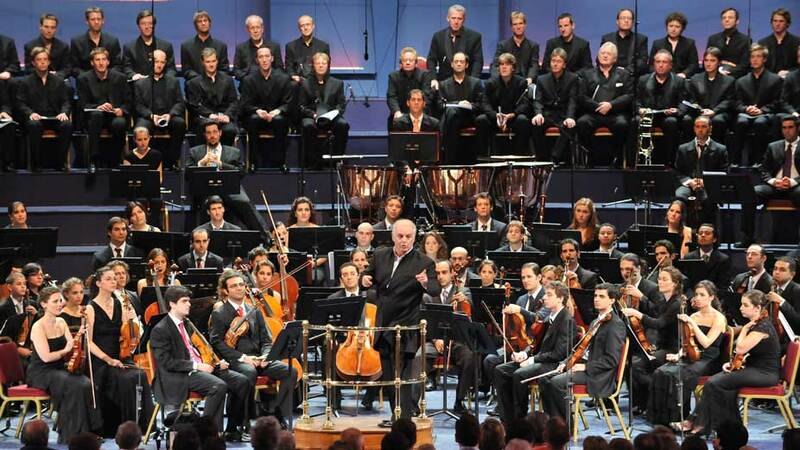 Daniel Barenboim and Edward Said created a workshop for young musicians from Israel, Palestine and various Arab countries of the Middle East seeking to enable intercultural dialogue and to promote the experience of collaborating on common interests. Together with a group of Spanish musicians they met each summer in Seville for a workshop with rehearsals, lectures and discussions, followed by an international concert tour. The only political aspect prevailing the West-Eastern Divan’s work is the conviction that there will never be a military solution to the Middle East conflict, and that the destinies of the Israelis and Palestinians are inextricably linked.